Bolt POS is a cash register and retail management system that combines traditional point-of-sale functionality and business management tools into a comprehensive Point-Of-Sale solution. This next generation cash register is offered through a partnership between Bolt POS and Pathfinder Payment Solutions. To get Bolt POS for your company, call us now: 800-422-5005 or sign up online. The powerful Bolt POS system includes cutting-edge features designed to provide your company with a competitive advantage. Bolt POS can help you increase revenue, improve operations and make your customers happier. As a business owner, you always need to be in the know of what’s going on at your store even when you’re not there… who are we kidding, especially when you’re not there! 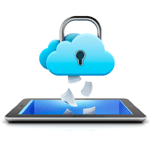 Bolt POS leverages cloud computing technology so all of your valuable business data is securely stored on our servers. 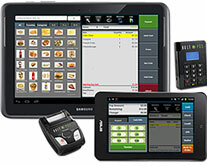 Traditional POS systems can cost thousands of dollars to purchase and maintain. Bolt POS uses a SaaS (Software as a service) model so you only pay a nominal monthly fee for the software. mPOS is often perceived as the less secure, less robust little brother of traditional POS systems; however this is not the case. Bolt POS is sold exclusively through our dealer network to ensure each merchant is guided through the setup process and to provide ongoing support. Bolt POS is a next generation mobile cash register that enables businesses to streamline their checkout process, improve operations and increase revenue. Bolt POS is delivered through a partnership between Pathfinder Payment Solutions and Bolt On Solutions. Pathfinder provides secure, state-of-the-art payment processing and Bolt On Solutions provides the sophisticated hardware and software necessary to operate Bolt POS.